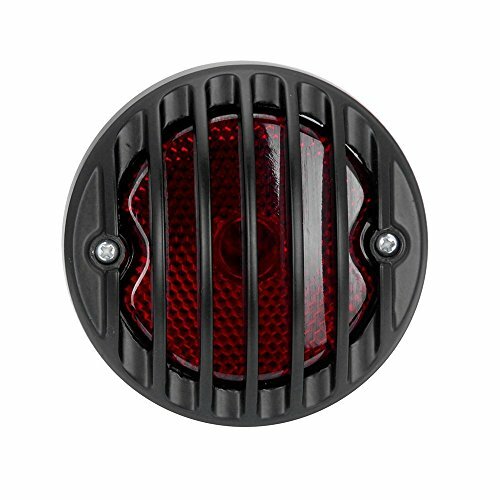 Product Description Pattern Name: Clear Lens Red Light Specifications: • Condition: Brand new • Package includes: 1 pc of Integrated LED Tail Light • Lens Size: L 3 1/4" x W 3/4" (8.2 cm x 2.2 cm) • Screw hole Diameter: 6MM • Screw hole spacing: 3.5CM (1.37") • Adjustable mounting slot spacing: 8.5CM(3.3") min. & 13.5CM(5.3") max. • Bracket color: Black • Bracket Size: L 6 11/16" x W 2 1/8" (17 cm x 5.4 cm) • Lens Color: Clear • LED light Color: Red • Voltage: DC 12V • Number of LED: 20 • Wattage: total 3.6w • Cable Length: 25CM (9.8") • Weight: 220g (0.49 lb) • Material: ABS housing & PC lens • 3 wires connection system. 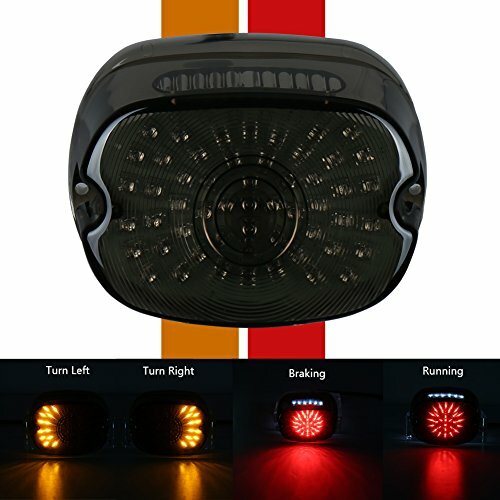 Features: • Custom Design Itegrated LED Tail Light, Brake Stop Light, Running Light, License Plate Light • Super bright LED provide maximum visibility & safety. • Weatherproof and 100% Rust Free. • Low consumption LED lights, with 100,000 hour life expectancy. • Our LED light are guaranteed to be the highest quality. • Easy Installation. 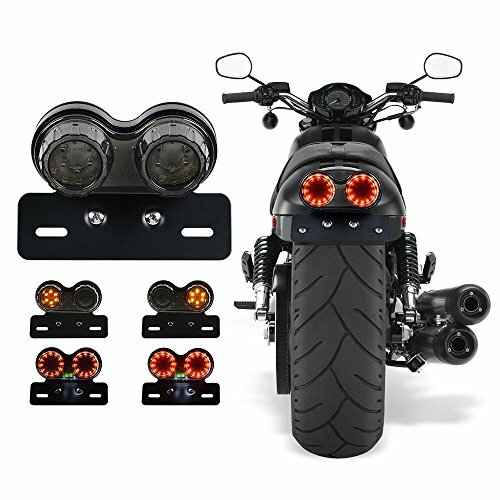 • Minor Modification May Required for Some Models Fitment: Fits Most Motorcycle, Street Bike, Scooter, Cruiser / Chopper Dirt Bike ATV off-road such as Harley / Honda/ Kawasaki / BMW / Yamaha / Suzuki / Ducati / Benelli / Aprilia / KTM. 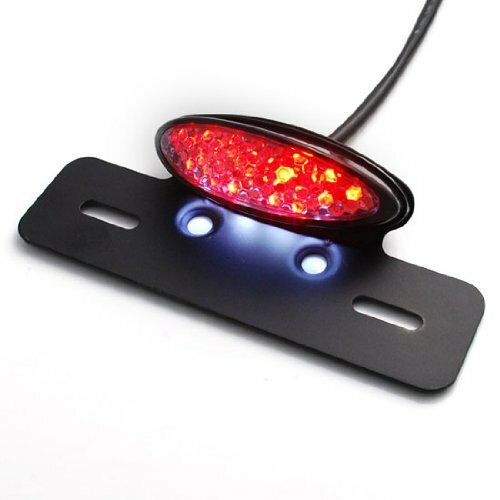 Product details: Input Voltage:DC 12V Wattage:1.44W(8 LED,0.18W/LED) Light Color:RED Material:ABS Plastic Dimension:SEE THE PICTURE Wire Length:75cm Wire Connection: Red: Brake Light Black-Ground Yellow-Running Light Instructions:Not Included Package Included:1x Fender Edge LED tail light for Harley Davidson Fitment: For Harley Davidson 2004-2014 Sportster 883,Sportster 1200;2014 Iron 883;2010-2014 Forty Eight;2013-2014 Seventy Two. Specifications: • Condition: Brand new • Package includes: One piece of Integrated Light • Voltage: DC 12V • Lens size (approx. ): 4" (10cm) • Lens Color: Red • Case Color: Black • Bulb Wattage: 20W / 10W （Incandescent Light Bulbs） • Cable Length: 9.8" (25cm) • Material: Incandescent Light Bulbs, Aluminum Case & PC lens • 3 wires connection system. Features: • Custom design with protective aluminum grille cover. • Super bright high power bulb provide maximum visibility & safety. • Integrated light, used as running light, brake stop light, rear tail light, license plate light. • Brings you more safety, Visible By All Traffic. • Weatherproof and 100% Rust Free. • Easy to install, Direct fit. Fitment: • Fits Most Motorcycle, Street Bike, Cruiser / Chopper Dirt Bike ATV off-road • Such as Harley / Honda/ Kawasaki / BMW / Yamaha / Suzuki / Ducati / Benelli / Aprilia / KTM • May need tiny modification for some models. * Please Read All Description and Fitment Before Ordering the Product. * Note: Professional installation recommended! *NOT D.O.T approved. For off road use only. 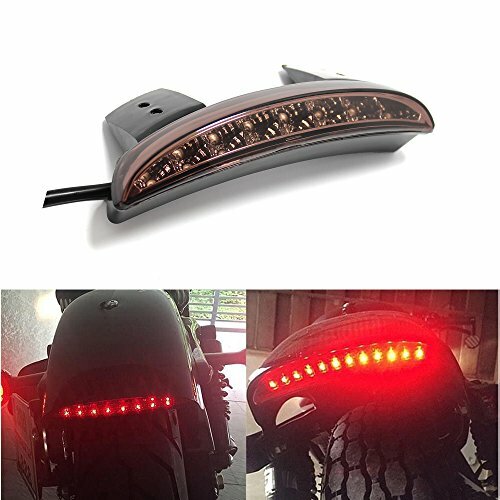 Specifications: • Condition: 100% Brand New • Package includes: 1X Motorcycle Integrated Tail Light with License Plate Bracket • Voltage: DC 12V • Size (approx. 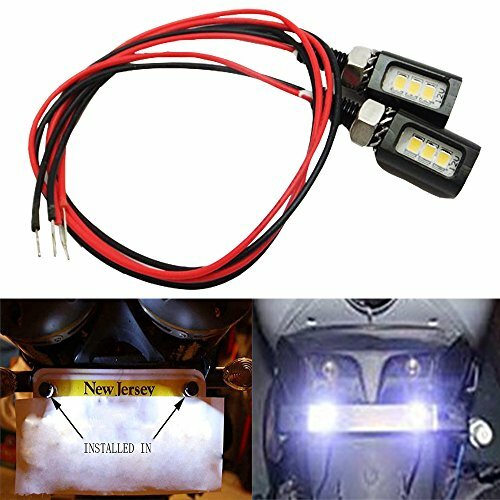 ): As the picture shown • Lens Color: Smoke • Bracket Color: Black • Wattage: 40W (1W/LED) • Number of LED: 24 X Red + 12 X Amber + 4 X White • Screw Diameter: Tail Light: 4mm License Plate Bracket: 6mm • Adjustable Mounting Slot Spacing(As the picture shown): Cable Length: 12"(31cm) • Material: LED + Metal License Plate Bracket + PC Lens • Weight: 380g Feature: • Designed for Most Custom Motorcycle • Can be used as a running & brake light or marker light. • Super bright high power bulb provides maximum visibility & safety. • Complete with license plate bracket, black powder coat over metal housing. 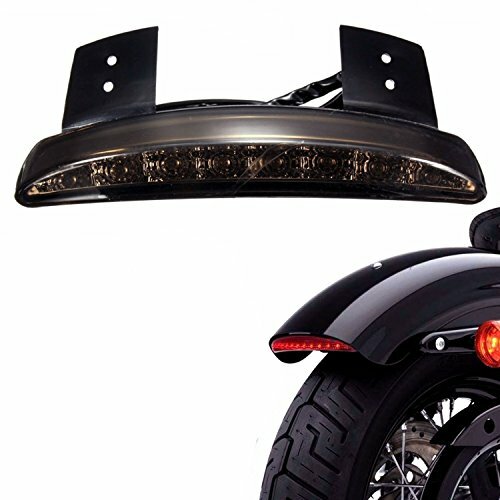 • Upgrade your motorcycle a Unique Style Appearance Fitment: • Fits Most Motorcycle, Street Bike, Cruiser, Chopper . • Such as Harley / Honda/ Kawasaki / BMW / Yamaha / Suzuki / Ducati / Benelli / Aprilia • May need tiny modification for some models. * Note: * Please Read All Description and Fitment Before Ordering the Product. * Professional installation recommended! Product details: Input Voltage:DC 12V Wattage:1.44W(8 LED,0.18W/LED) Light Color:RED Material:ABS Plastic Dimension:SEE THE PICTURE Wire Length:30cm Weight: 130g 5 Wire Connection: GND:black wire Braking:Red wire Running:Yellow wire Turn Signal:Blue wire&Orange wire Instructions:Not Included Package Included:1x Fender Edge LED tail light for Harley Davidson Fitment: Harley Davidson XL 883L Sportster 2008-2014 Harley Davidson XL 883N Iron 2009-2014 XL 883N Iron Special Edition 2014 Harley Davidson XL 1200C Sportster Custom 2008-2014 Harley Davidson XL 1200L Sportster 2006-2011 Harley Davidson XL 1200N Nightster 2007-2011 Harley Davidson XL 1200R Sportster Roadster 2004-2007 Harley Davidson XL 1200V Seventy Two 2013-2014 Harley Davidson XL 1200X Forty-Eight 2010-2014If you have any problems,please contact us first,we will help to solve the problems in the first time,thank you! 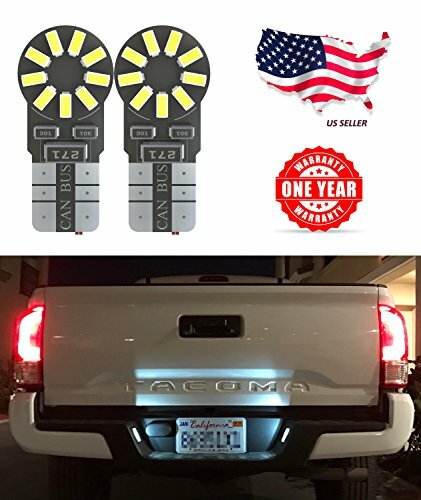 Looking for more License Plate Tail Lamp similar ideas? Try to explore these searches: Kennel Pack, Matzah Cover, and Huge Crystal Brooches. Look at latest related video about License Plate Tail Lamp. 2001-2005 Honda Civic no power to license plate and inner tail light fix. Shopwizion.com is the smartest way for online shopping: compare prices of leading online shops for best deals around the web. 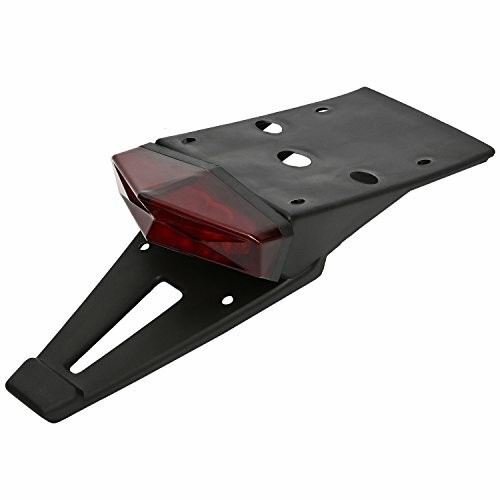 Don't miss TOP License Plate Tail Lamp deals, updated daily.